Why Fernwood Fitness Narre Warren? A cornerstone in Women's health for over 14 years, Fernwood Fitness Narre Warren provides a welcoming women's only atmosphere - perfect for women of all fitness levels. Conveniently located a short 5 minute drive from the busy Westfield Fountain Gate Shopping Centre, Fernwood Narre Warren ladies gym is a comfortable sanctuary where women can workout and enjoy regular exercise. - A range of energetic group fitness classes each week including Yoga, Pilates, spin and popular Les Mills classes. The Fernwood Narre Warren ladies gym experience goes beyond your regular gym, with a team of empowering women dedicated to ensuring you reach your goals. We compliment your workout with morning breakfast, refreshing cool and hot face towels, complimentary beauty and toiletries and Simplicity nutritional coaching in the convenience of our Fernwood Narren Warren health club environment. Since our beginning, Fernwood Fitness have become synonymous with Australian women's health and fitness and at Fernwood Narre Warren gym we will continue to offer assistance and advice to keep women motivated towards achieving their health and fitness goals. For women looking to get fit and lose weight, Fernwood Narre Warren has a complete and healthy solution. With a scientifically developed weight-loss program, superior equipment, group fitness classes, personal training, innovative fitness programs, qualified staff and personal trainers, there’s no better value for money than Fernwood. Don’t be fooled by lesser imitations. Fernwood Narre Warren are the experts in weight-loss, motivation and exercise for women. To become the new you, take the next step and download a pass below to discover the Fernwood Fitness difference. Fernwood ladies gym Narre Warren. The more muscles you engage in the one exercise, the better. Fernwood Narre Warren strength training workouts are effective and results driven. Aim to do cardio three times a week. Friendly gym staff are always on hand. Your personal trainer can become a very important part of your life. We’ll show you the way to a fitter, stronger and healthier you. Enjoy cardio boxing in our Narre Warren gym. Huge variety of ladies fitness classes to keep you moving. Doing the same thing over and over is boring! Variety is key. On-site Narre Warren Creche for Fenrwood members. First-class service and complimentary breakfast. Different kinds of exercise in your schedule are essential. Fernwood Narre Warren offers a complete and healthy solution that supports all women. 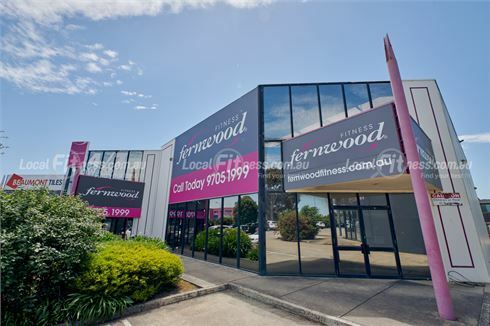 At Fernwood Fitness Narre Warren, you'll feel fabulous about being part of the Fernwood community!